STEPS Software Development and Applications Division maintained and achieved general stability through running its in-house developed applications under the Oracle Real Application Clusters (RAC), hereunder are the projects . 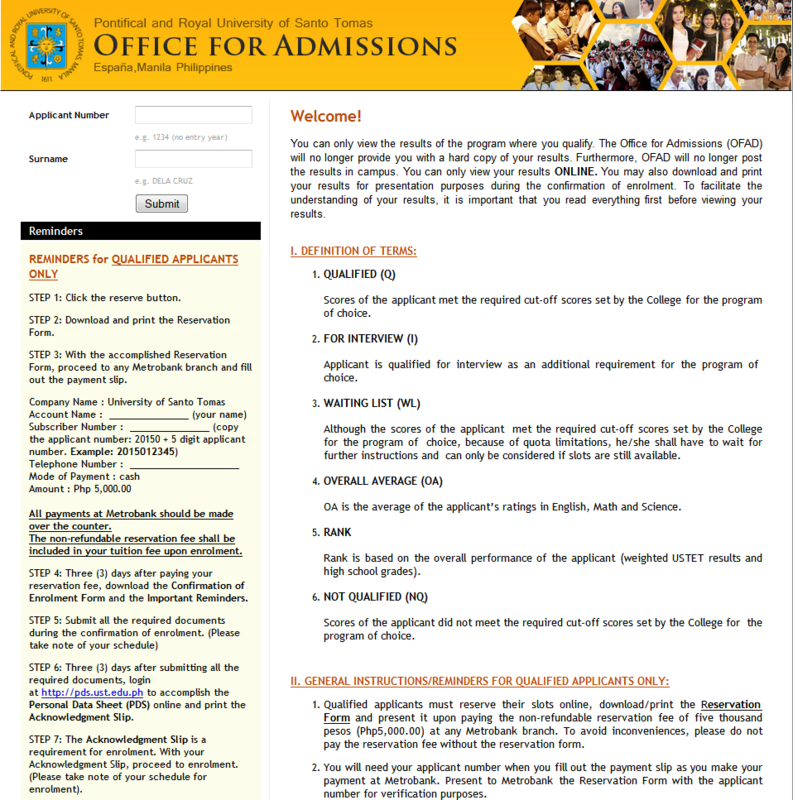 Online registration of freshmen applicants. 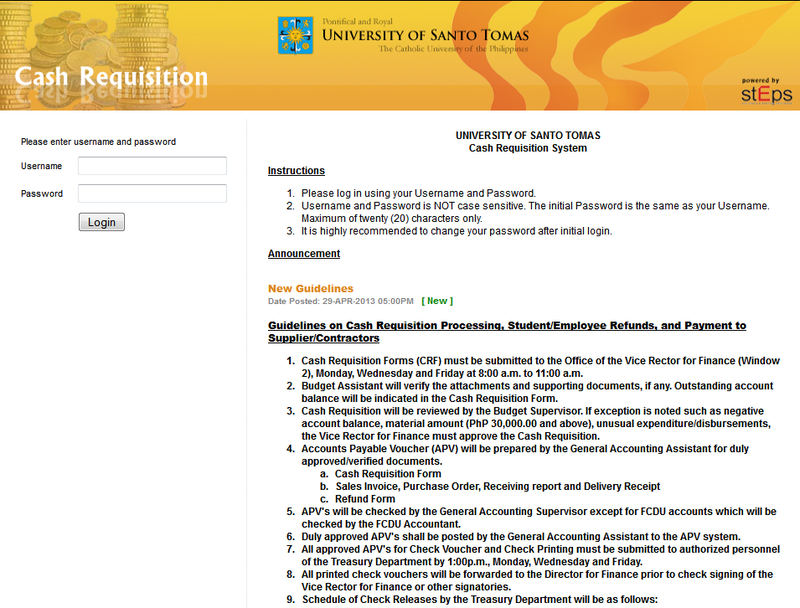 UST web-based application of cash request approval. 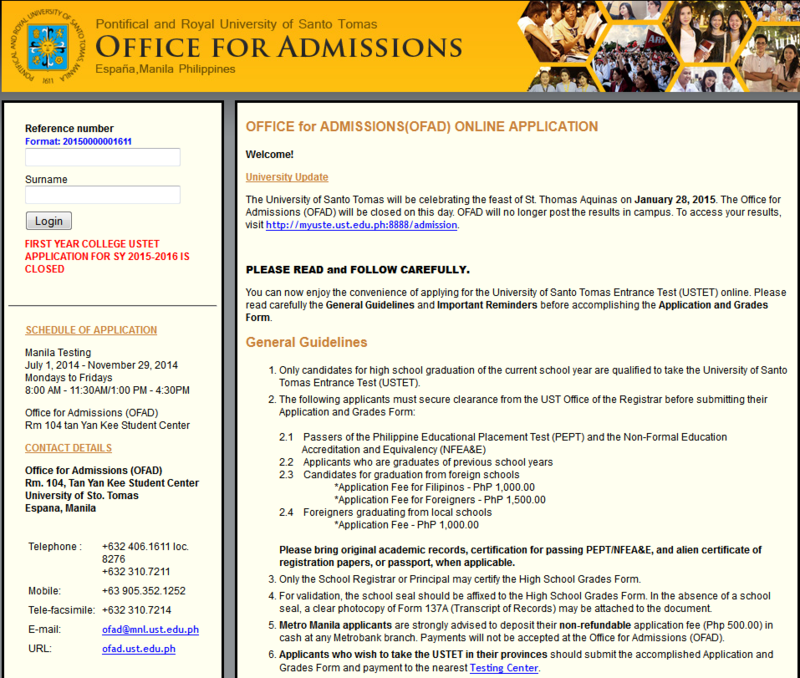 The official Thomasian Faculty and Administrator Portal. 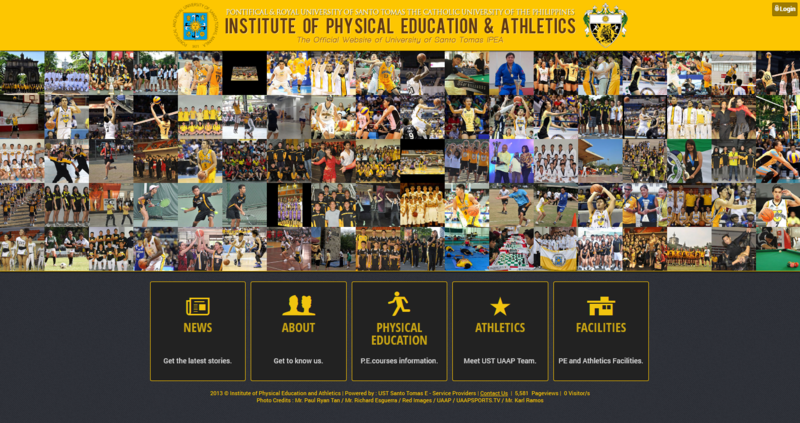 Official website of the Institute of Physical Education and Athletics. 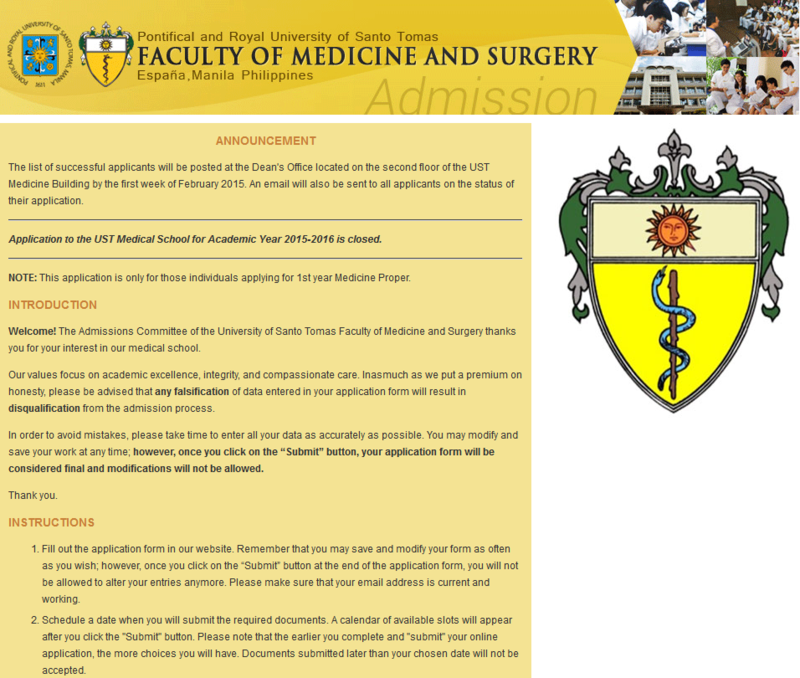 Online registration of freshmen applicants for medicine. 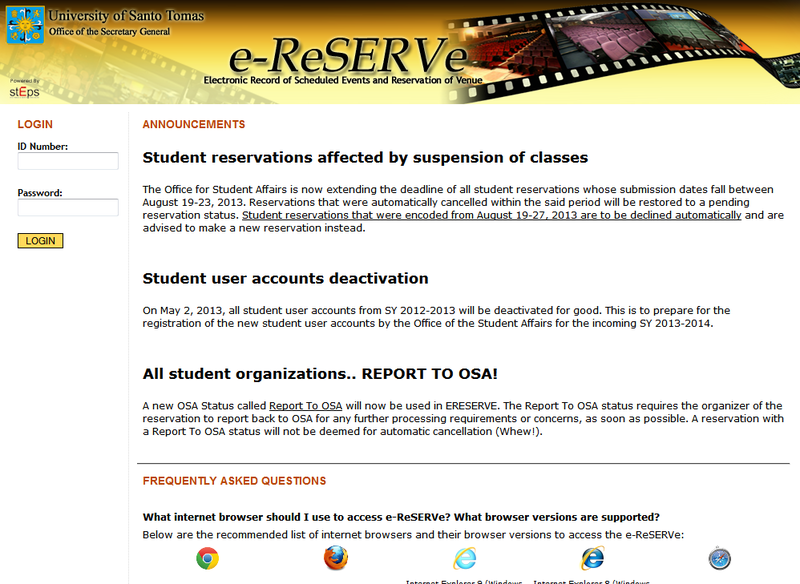 The official Thomasian High School student portal. 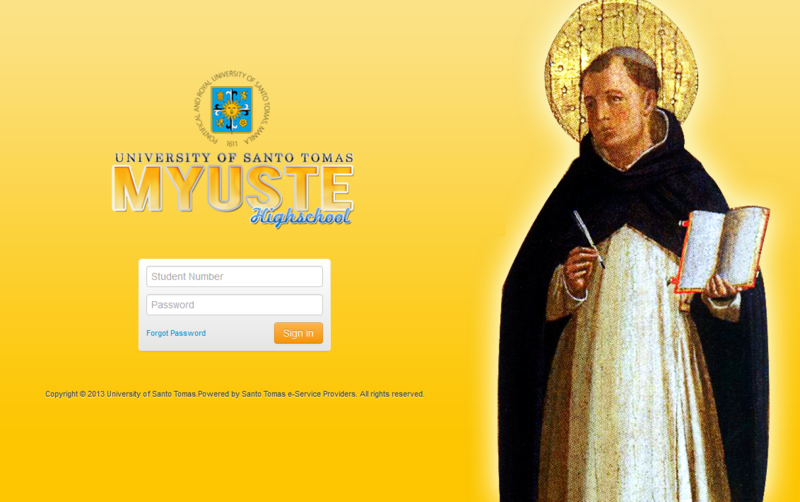 The official Thomasian College student portal. 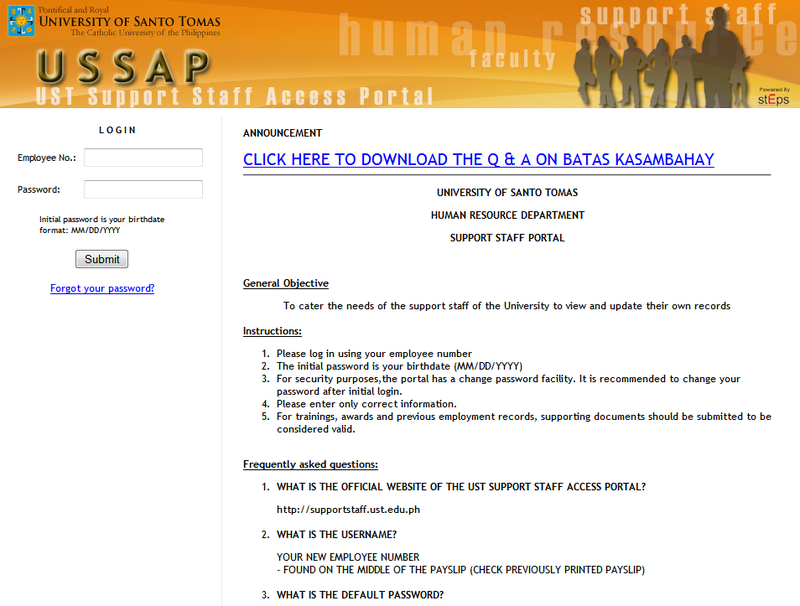 The official Thomasian Support Staff Portal. Online viewing of UST entrance test result. 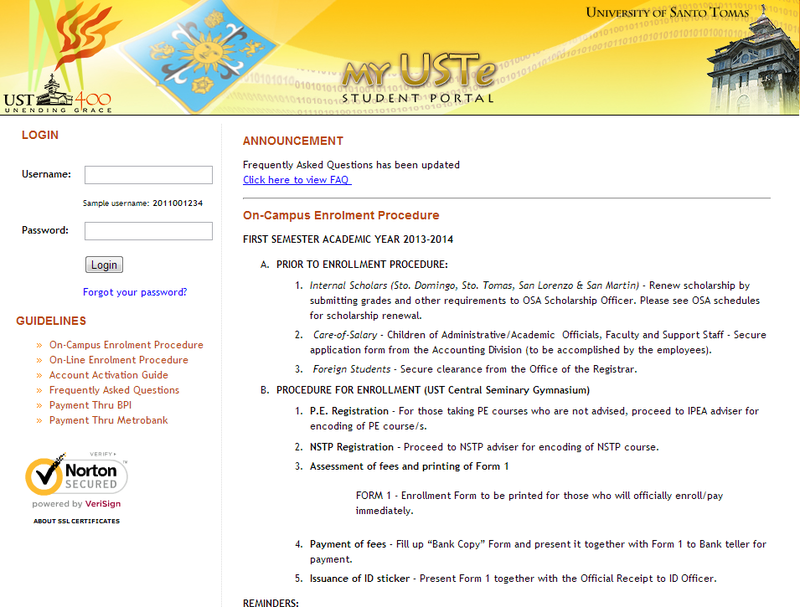 Online reservation of UST facilities and scheduled events. The Hardware and Network Division of STEPS,ensure that all networking facilities that house the University computing systems and associated components are well-maintained and optimized. Hereunder are the projects. Video conferencing services. VPN for remote system monitoring of the Data Center network equipment as well as the Security Cameras were also considered. The 140Mbps link is subscribed from the Eastern Telecommunications and the redundant link of 130Mbps is subscribed from the PLDT Company. Computer units were upgraded for the different sections and branches of the Benavides Library replacing the 149 seven-year-old IBM Thinkpad desktop units to support the current system and online requirements of the students, faculty members, and support staff. Full network and system integration of the perimeter and indoor securitycameras for central control, monitoring, and management of the UST Facilities and Management Office (FMO).For Phase I—Beato Angelico Building, Commerce Building, Medicine Building, Main Building, and the Quadricentennial Pavillion. For Phase II—Faculty of Engineering, College of Education, Thomas Aquinas Research Complex, High School Building, Tan Yan Kee Students’ Center, College of Accountancy, and the Network Operations Center. Relocation of the Office of the Dean, College of Nursing to Rooms 314, 316, and 318. Conversion of Physics Laboratory to Computer Laboratory, College of Nursing (2nd Floor). Relocation of the Office of the Dean, College of Rehabilitation Science to Room 215. Renovation of the Office of the Dean, Faculty of Medicine and Surgery (2nd Floor). Renovation of the Office of the Dean, Faculty of Arts and Letters (2nd Floor). Renovation of the Office of the Dean, College of Education (3rd Floor). Renovation of the Office of the Dean, College of Science (3rd Floor). Renovation of the Guidance Office, College of Fine Arts and Design (4th Floor). Conversion of Classrooms to Audio-Visual Room, College of Architecture (3rd Floor). Renovation of Organization Rooms, College of Architecture (6th Floor). Renovation of Vision-Magazine Room, College of Architecture (4th Floor). Network integration of the UST Hospital. Renovation of the Domus Mariae. Installation of Cisco 2960 gigabit switches to gradually replace the 5-6year old 3Com 10/100 switches to support access requirements and speed up intranet and internet connection. 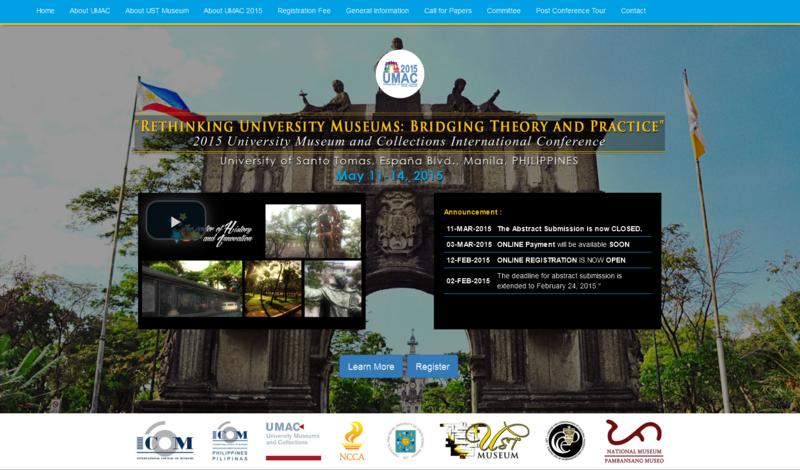 PHNet for the Bi-Annual Domain Registration (ust.edu.ph) from August 14, 2013-August 13, 2015. Red Hat Enterprise Linux Server (Standard) and Red Hat Enterprise Virtualization for Servers (Standard) from July 15,2013-July 14, 2014. Gradual upgrade of Operating Systems and Microsoft Office for compliance. Installation of Office 2011 licenses for Mac Computers.